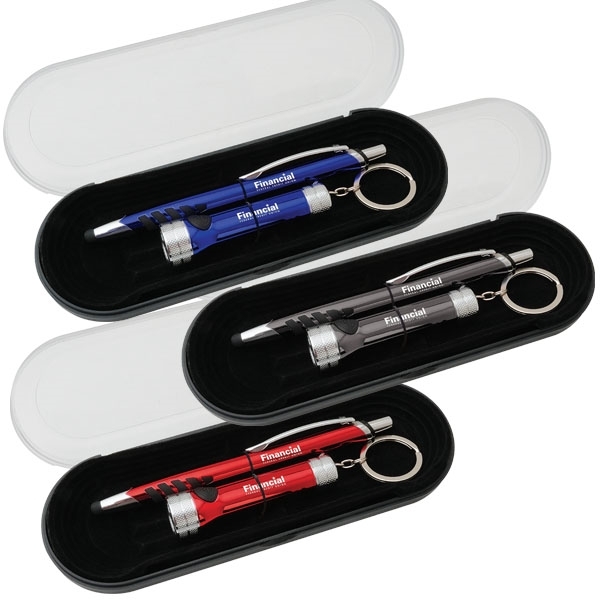 Retractable stylus pen with LED key chain gift set. Polished barrel with comfort grip. Magna-Imprint™ on pen only. Pen has choice of black or blue ink. Patent: D626,595; D706,969.